You might want to make sure your private information remains private after you die. 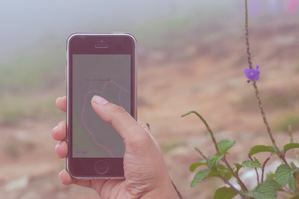 We document our lives digitally all the time; social media, cloud connectivity and location sharing all make our lives easier and more convenient. But when it comes to death, there’s no legal framework around protecting the personal data accumulated throughout a lifetime by these tools. Here’s a rundown of the personal data you’ll leave behind, and what might happen to it. Who owns our digital data? When it comes to the data you don’t have physical ownership over, or the data we (usually) don’t realise we’re producing, what belongs to us becomes increasingly complicated. While passing on your favourite armchair is easy enough (just state this in your Will), it’s less straightforward to pass on all your stuff that isn’t physical. 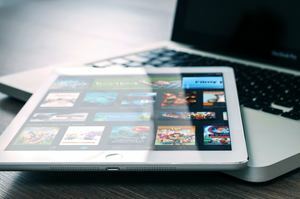 In 2016, PwC reported that the average UK consumer owns 42 ebooks, 40 TV shows, 28 films and 2,768 songs – all of which can’t be passed on because they exist digitally. But there’s stuff which belongs to you that’s even more intangible. Everything captured by apps, the videos we watch on Youtube and the amount of times we’ve ‘liked’ a post, are all digital footprints left behind after someone dies. While we’re still alive, it’s more straightforward. We’re asked permissions from others, such as companies and every single cafe we frequent in order to catch the free WiFi. What’s more, businesses have a legal obligation to tell us if they’re collecting data, and we can refuse permissions if we feel like it. A dead person, obviously, can’t do this. A corpse isn’t able to tell Google or Apple to delete the trail of GPS data which, in theory, could allow a third party to know intimate details about how they spent their time when they were alive. Where will your personal data trails end up after you die? While your medical data on an NHS database gets wiped after 10 years, there’s fewer regulations around what’s done with the sort of data collected by Google, for instance, after you die. Read our post on your medical data here. Google stores where you’ve been (if you have location tracking turned on), knows every bookmark and search you’ve saved or typed out, all the events in your calendar, every email you’ve ever sent, and all the apps you’ve used and for what purpose. There’s no obvious way Google is told that the data they have belongs to a dead person, and they will presumably handle this data in the same way they did when its owner was alive. While it seems like privacy concerns just fade away after someone dies, it’s strange to think that the stuff of our everyday lives – how we function, where we’ve been, what thoughts we’ve sent in our emails, what time we set our alarms – gets left to a a huge company like Google and not, say, a partner or children. How might your personal data be used in the future? While the Data Protection Act updated its terms for the digital age in 2018 (that’s why you’re no longer being bombarded by countless emails), it failed to set out whether any of its terms would extend to people after they’ve died. Until there’s a larger discussion around privacy, digital property and freedom of information after someone dies, we’re left to imagine the future of our personal data. It might be fascinating to think about what future generations could find out about us – what seems commonplace to us now could have profound meaning for the analytics engines and sociologists of tomorrow. If you want to delve deeper into your digital afterlife, we’ve looked at the way personal data is being used to create digital forms of people, long after they’ve physically died, here. The Google Inactive Account Manager service allows you to name someone who will receive an email if your account isn’t logged into after a while. It gives the person permission to download your photos, documents and emails stored on their server. Google aren’t able to guarantee, though, that personal data is completely removed from their systems. How might medical data be used to save lives?